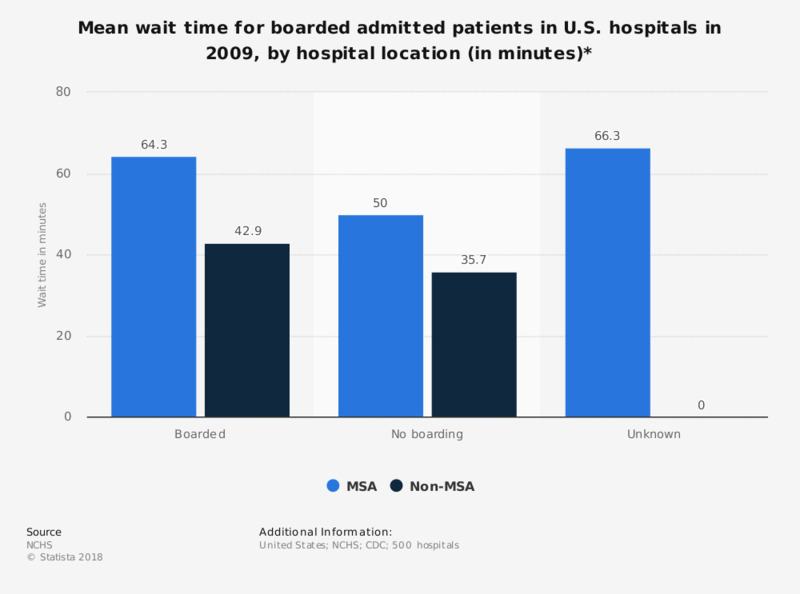 This statistic shows the mean wait time for boarded admitted patients in U.S. hospitals in 2009, by hospital location. In that year, the mean waiting time for boarded admitted patients in U.S. hospitals within metropolitan statistical areas was 64.3 minutes. * MSA stands for metropolitan statistical area.